There’s nothing like the taste of a fresh, unpasteurized egg! My next door neighbors are so blessed. They get to enjoy those eggs every day. I’m blessed too as their chickens visit me every morning at sunrise. They bring joy on the good days and not so good. When I think of Easter I think of Spring, new life, bunnies, chicks, and eggs. It’s only fitting that I give you the opportunity to scarf up one of our new items. 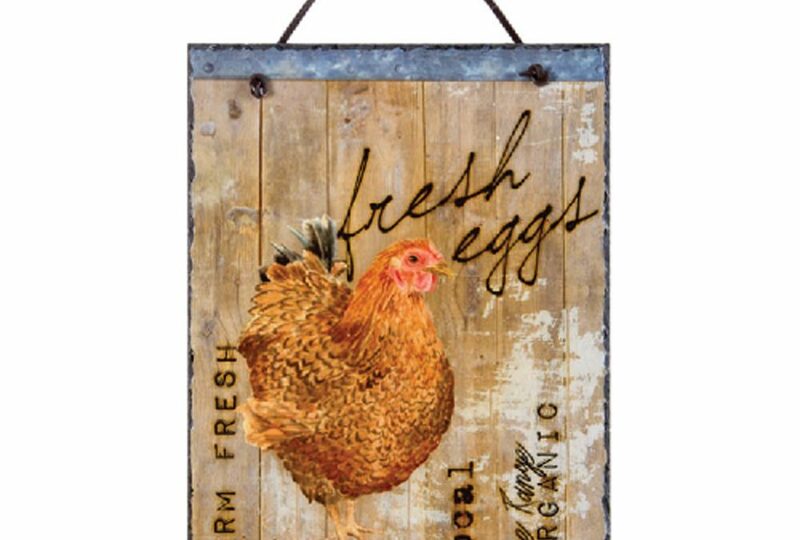 I’m placing our Fresh Eggs Slate on sale. It’s organic and rustic. It’s a perfect fit in my kitchen and I’m sure it will fit right into yours as well. Only 700 more eggs to fill!